Loving, vibrant, and kind, Joyce Klein lived a faith-centered life rich in family and service to others. 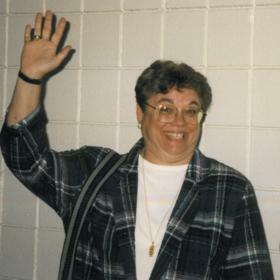 A generous and giving spirit, Joyce was devoted to God, her family, friends, and patients at the Kalamazoo State Hospital. She loved her family immensely and shared unquestionably special relationships with her nieces and nephews. A natural storyteller and source of good fun, Joyce was often the life of the party. She embraced each day as a gift to be celebrated and shared it with each person as a treasure. Abundantly loved and cherished in the hearts of many, Joyce’s loving legacy will continue to live in the hearts of all who were blessed to know her. 1945 was a year marked by much celebration and hope. With the victorious end of World War II, families tuned into the celebratory tunes of Bing Crosby, Perry Como, and the Andrews Sisters, while children delighted in the debut of the slinky. 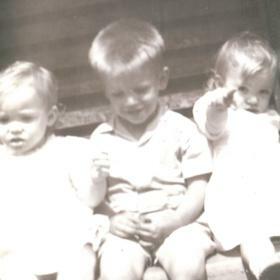 Nowhere was there greater promise for the future than in Kalamazoo as Harry and Mary (Juzwiak) Klein welcomed the birth of their baby girl, Joyce, on May 11th along with her twin sister, Janice. 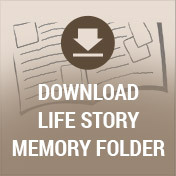 Growing up in Kalamazoo, Joyce enjoyed the comforts of family life. While her father worked several jobs as a general laborer for a roofing company, at Buick, and as a military police guard for President Roosevelt, her mother was a stay at home mom. Though her mother worked outside the home when needed, her primary calling was to create a loving and supportive home for her family. Naturally introspective and comfortable spending time alone, as a child Joyce kept to herself, but always made friends naturally. A tomboy at heart, Joyce attended Catholic school and first heard the call for religious life at the age of eight. In answer to the call, Joyce asked her father if she could join a convent.  Though too young to embark on convent life at the time, Joyce easily recognized and welcomed a future centered in religious life; she always had it in her to serve God. Soon after graduating from Kalamazoo Central High School, Joyce entered Marymount Mother House in Cleveland and began fulfilling on her dream to become a nun. The greatest day of her life was the day she married Jesus and took her vows. Typically a very private ceremony, Joyce’s brother and mother convinced the nun in charge to allow the ceremony to be recorded and shared with the other sisters taking their vows. 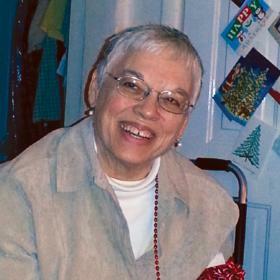 It didn’t take long for free-spirited and fun-loving Joyce to find convent life restrictive. Though she enjoyed her studies, she equally enjoyed inspiring a sense of play the convent was so lacking. Despite her inability to hold a tune, she was part of a musical group with the nuns and sang offkey with abandon and great joy. She threw firecrackers off the bell tower at the church and even got the nuns drunk! One of her most famous nights of play occurred upon returning to the convent from her sister’s wedding, tipsy and with several bottles of wine in hand. Ready to celebrate with her sisters, she woke all the nuns and began an impromptu party. Needless to say, Joyce’s zest for life often resulted in spending considerable time on her knees praying her penance. After spending seven years in the convent, it became clear to Joyce that her authentic path traversed a different direction. She left the convent and returned home to help her family. Upon her return, Joyce enrolled at Nazareth College to pursue a degree in psychology, confidently knowing that she was destined to continue to use her life in service of others. With an inherent love of people and an empathic heart, Joyce possessed a natural ability to work with anyone--a trait she inherited from her mother. Her joy was helping people and knowing that she made a difference in their lives. Patients and coworkers alike quickly lit up at the mention of her name for there was always a fun story to be told about Joyce. A couple favorite stories included the time she brought a few of her patients to her sister’s home for a party. One of the patients chased the kids with a baseball bat, while another hid under the table to steal the meat when no one was looking. For all who were blessed to know Joyce, her passion for life was evident in the way she so easily found joy in every moment. Whether cheering on her beloved Detroit Tigers or Lions, streaking across WMU’s football field on a dare while the workers were on the field, dressing up as a 12 foot tall Easter bunny, playing Santa for many of her nieces and nephews, or hanging out with the Outriders, ordinary moments quickly became extraordinary for sharing them with Joyce. Folks quickly learned to expect the unexpected with Joyce. She’d moon everyone at family gatherings at the most unexpected time and was always up for trying anything at least once if it sounded fun. Joyce’s adventurous spirit inspired many good times. She believed that we should make each moment count, live while we are alive, and not be afraid to try just about anything. Because Joyce embodied her beliefs, she took a memorable ride on a camel, which later spit in her face, loved league bowling and golfing, and created her own ministry called “Pocket Angels.” Joyce’s ministry afforded many, many people comfort in their time of need. With unwavering faith, she lovingly placed a small angel pendant in people’s hands and told them their guardian angel is always with them. As we gather and share our favorite memories of Joyce, we celebrate her bright and generous spirit and the gift she was to so many. We will recall the time she accidentally took the wrong medication in Washington D.C. and attended the dedication ceremony of a building being named after her brother a little loopy, making everyone laugh. The way she struggled to successfully navigate round-a-bouts later in life will also prove legendary. And each time we enter one, we will instantly remember how she would call her family while driving and repeatedly circling the loop before figuring out how to get out of it. We will relish in telling the story of the time Joyce spent the night in jail; how she’d gone out for a drink after the Pope had been shot and argued with the cop who pulled her over that he wasn’t allowing her to grieve properly. And every time we mow the lawn, we will chuckle at the memory of Joyce on her tractor after her infamous fall. Wearing her red fedora, her signature smile, and with an Oberon in hand even mowing the lawn was an adventure for Joyce. The world is surely duller in the absence of Joyce’s steadfast light. 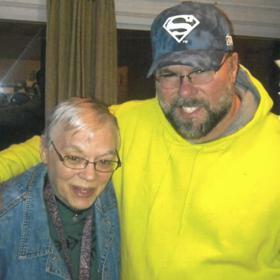 While she will be dearly missed, Joyce will be lovingly remembered. Whether it be sharing time with family, listening to Elvis Presley, catching a rerun of Walker Texas Ranger, or lending our time and talents in service of others, we will long feel the eternal spark of her legacy in our hearts and lives. Age 73, died on December 10, 2018. Joyce was born May 11, 1945, the daughter of Harold and Mary (Juzwiak) Klein. She was preceded in death by her parents and her brother, Harry Klein Jr. Joyce is survived by her siblings: twin sister Janice Taylor, Alberta Klein and Triny Guiterez, Marcia (Ray) Pszczolkowski, David (Julie) Klein; and nieces and nephews: Brian Klein, Kerry Klein, Blake Klein, Brady Klein, Sue Taylor, Chad Taylor, Ryan Taylor, Randy (Becky) Taylor, Andrew Taylor, Jake Taylor, Jason (Laurie) Klein, Lisa (Gabe) Pryor. Cremation will take place. Visit with family and friends while sharing snacks and refreshments on Saturday from 11AM-1PM at Betzler Life Story Funeral Home, 6080 Stadium Dr. Kalamazoo (269) 375-2900 where the Rosary will be recited at 1pm. 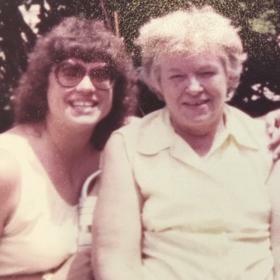 Please visit Joyce’s personal web page at www.betzlerfuneralhome.com, where you can read her story, archive a favorite memory or photo and sign her online guestbook before coming to the funeral home. In lieu of flowers, memorial contributions may be made to the Alzheimer’s Association.